Ride-hailing giant Grab has had a pretty illustrious year, with regular rounds of funding injected into the company over the year. Most recently, Hyundai and Kia pumped in another US$250 million into the firm, bringing its total fundraising to US$2.7 billion. Following this, Grab asserted that it is financially on track to raise over US$3 billion by the end of this year. Rumours that PayPal will be the newest addition to its shining list of investors also surfaced last month. If this deal goes through, its total fundraising will be lifted to US$3.2 billion. With these fresh funds, it is reported that Grab is currently in talks to invest US$100 million in Indian hotel chain Oyo Hotels & Homes as part of the latter’s ongoing US$1 billion funding round. The proposed investment will be made through A1 Holdings Inc, an entity controlled by Grab. After its last funding in August, Grab was valued at around US$11 billion. Grab’s planned investment in Oyo would be at the same valuation that the hotel chain commanded in September: US$5 billion. In September, Oyo had raised US$800 million in funding, led by SoftBank Vision Fund, along with existing investors Lightspeed India Partners, Sequoia Capital, and Greenoaks Capital. It also received US$200 million funding from undisclosed investors. Oyo has earmarked US$600 million of the latest funding for operations in China, a country it counts as a core market alongside India, with the rest directed towards hiring and other overseas markets such as South-east Asia and the UK. It’s not clear why the interest in Oyo, but Grab has announced earlier this year that it is steering towards the travel industry with its partnership with Booking Holdings, which allows users to book and pay for hotels in-app. Beyond travel, Grab has also revealed its intention to enter other sectors, from grocery delivery to healthcare. Grab and Oyo both count Japan’s Softbank as one of their primary investors, and they have also identified Indonesia as a key market. Grab also currently rivals Indonesia’s ride-hailing firm and superapp Go-Jek, while Oyo launched its operations in Indonesia in October last year with 30 fully-operated properties. 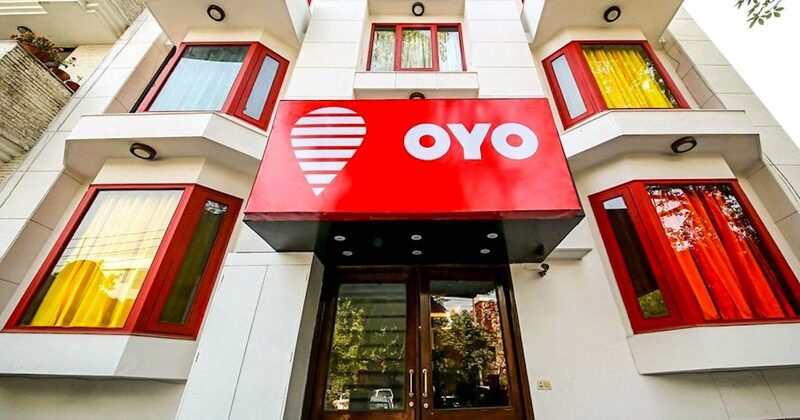 Oyo had planned to invest over US$100 million in the country as part of its expansion in Southeast Asia and expressed its intention to be the world’s largest budget hotel chain by 2022. Currently, Oyo is present in over 500 cities across India, China, Malaysia, Nepal, the UK, the UAE and Indonesia. Oyo did not respond to queries regarding this matter, and a Grab spokesperson told ET that it will not comment on market rumours and speculation.